InvestEdge is a long-standing leader in the world of FinTech. InvestEdge provides a platform with a streamlined set of suites and tools to handle all aspects of wealth management, including portfolio management, trading and rebalancing, performance metrics, reporting, and data aggregation. With over 18 years in the industry, InvestEdge is one of the most reliable and trusted FinTech companies on the market. In the spring of 2018, InvestEdge surpassed $1T in client assets under management on the InvestEdge platform. I traveled to Bala Cynwyd, a town near Philadelphia, to meet with one of the two original founders of InvestEdge, Roland Collins. Roland showed me what hard work and almost two decades in the financial space mean in terms of the scope of keeping up with innovation and growing a successful business. As a young man, Roland had far-reaching ambitions. He started his career off as a software developer for PNC Advisors, where he met InvestEdge’s current CEO and cofounder, Robert Stewart. At PNC, Roland was involved in developing a solution called Co-Pilot for portfolio management, equity research, and trade-order management. After the project reached maturity, Roland and Robert decided that the broader market was in need the types of technologies that they had implemented for PNC. Bob and RC launched InvestEdge right out of Roland’s bedroom in late 2000. Since then, InvestEdge remains committed to bringing clients value by building the products they need to handle data management and, specifically, ultra-high-net-worth data. What sets InvestEdge apart from its competitors? Roland explained that InvestEdge is making a push for advisor efficiency with middle-office solutions. The first module planned for launch is centralized compliance management. Whether the middle-office work is fully automated, through robo-advisors, or incorporates humans, a middle-office approach would have advisors work as a checkpoint to make sure everything is done correctly. This also allows the firm to increase Advisor productivity by moving operations to lower-cost lines of business. Additionally, InvestEdge is developing and maximizing the use of unified managed accounts through sleeveless accounting. Over the years, InvestEdge has strategically integrated with many major players in FinTech. Some examples of integrations with accounting systems include SEI TRUST 3000, SunGard, FIS Global, and Advent for a steady and accurate data stream, as well as brokerage systems such as Fidelity and Pershing. 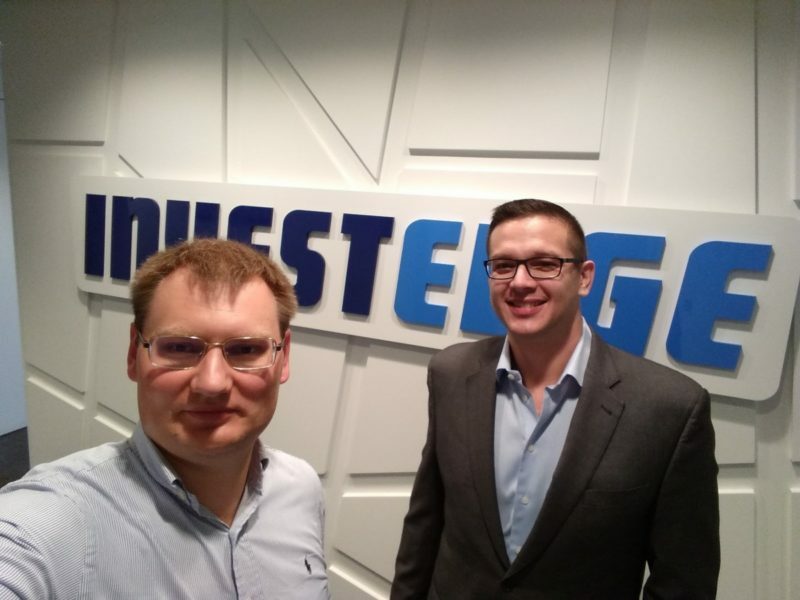 InvestEdge is partnered with Northfield for risk monitoring and tax optimization, and FIX Flyer for trade-order management and routing to the InvestEdge Portfolio Management system. The way that InvestEdge processes data, as mentioned above, is what sets them apart from the rest of the field. The “secret sauce,” as Roland called it, can be boiled down to two patents that InvestEdge holds. The first patent is for a distributed processing engine, a computing framework that handles high-volume workloads in a horizontally scalable way. The second patent is how the data layer works. The brunt of this is how InvestEdge takes different sources of data from accounting systems and data-aggregation tools and overlays these on top of each other. This solution is how InvestEdge enhances the value of data and how it improves data quality, integrity, and the timing of data. Roland said that InvestEdge has a typical structure seen in product delivery from a software-development standpoint. More than half of the 90+ employees work on the technology and development side of the company, and are split up into groups that deliver specific product lines. 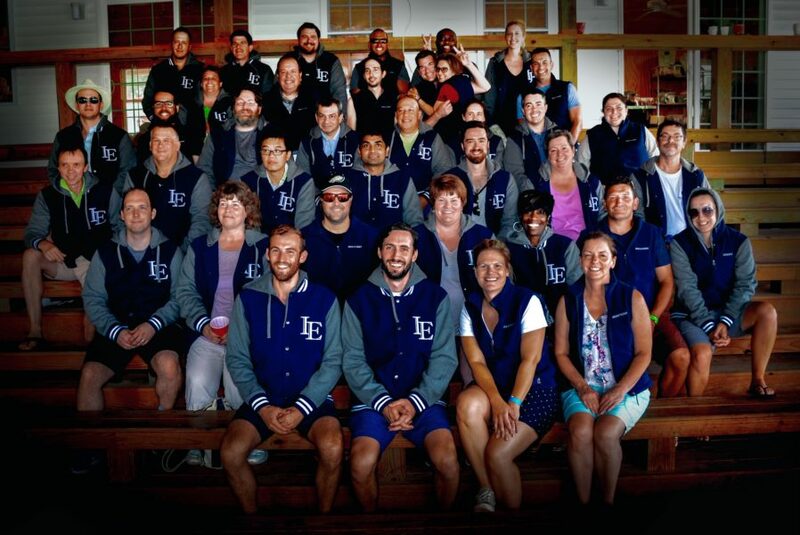 One half of the team is comprised of developers, business analysts, and QA engineers. 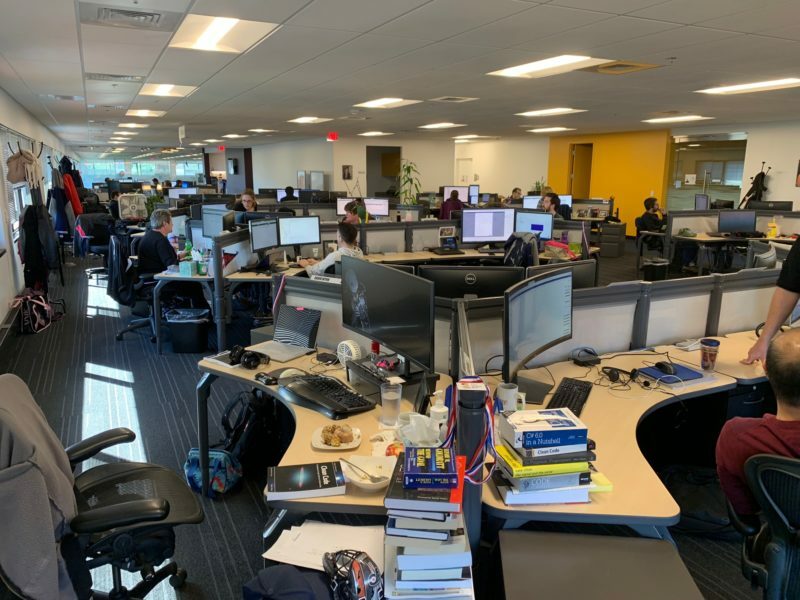 The other half includes data analysts, customer and sales support staff, marketing, HR, service specialists, tech support, and an outsourced performance-scrubbing team. Up until approximately two years ago, InvestEdge had their own proprietary methodology that resembled Waterfall. As the company shifted towards a product-based approach, it became clear that the old product-management methodology couldn’t keep up with the fast decision-making process and flexibility that was required. So the product-management team became fully agile and Roland said that very soon they will shift again to use the Scaled Agile Framework. Roland said that at first glance these ROI calculations may seem difficult, but there are standard situations where ROI can be calculated based on the price to build the product/feature. The rest of the calculations are based on market penetration, known sales leads, promises of contract, etc. By analyzing the risks and benefits, InvestEdge can breathe easy thanks to a discipline-based model that focuses on driving value across an entire customer base and product line. “Our average customer relationship is over eight years. With a single exception, we’ve only ever lost customers because they’ve either shut down shop or because they’ve been acquired. So we have a very high retention rate with our customers. In terms of technology, InvestEdge is a web-service company. Their stack is .Net- and Java-based. Roland explained that the logic of using both .net and Java is twofold. For one, many components that InvestEdge has are legacy systems that will need to be reengineered and updated. The front-end is built on standard HTML, jQuery, and Kendo UI, utilizing a single database-management system. To handle DevOps, Roland and his team have built a process around Build Master from Inedo. Build Master is essentially a framework that handles promotion and delivery through different environments. InvestEdge has development environments that are updated daily, directly from the development branches for every development stream. As a developer checks code in it shows up on the server on the same day, generating tight feedback loops from a testing perspective. InvestEdge has an impressive lineup of in-house experts that include Masters of Finance, CFAs, and CPAs. Roland noted that the chief software architect is both a CFA and CPA. In addition, Roland said that many analysts and several programmers are pursuing CFA certification in order to gain a deeper understanding of requirements, client-oriented services, and product management. Apart from in-house materials, InvestEdge has a strong culture of internal education sharing. Roland pointed out that in recent years LinkedIn Learning has become a valuable resource for both financial and technology content. One of the biggest challenges Roland sees is identity management. He believes that ID management is the key to understanding how users relate to the data that is being used. To better serve the 120+ clients that InvestEdge currently has, Roland and the team are working on a way to couple a strong ID-management platform with a strong asset-management and traceability platform. Next year, Roland wants to make a push for incorporating cloud services, although he believes that most customers are not ready for it. This may have to do with the perceived freedom of the cloud, with data flowing in and out of computers and servers, so it may take time until clients are comfortable with the security and stability of the cloud. Instead of a public cloud, Roland is pursuing private cloud technology to change the way that InvestEdge delivers infrastructure. InvestEdge has had an innovative edge on competitors for almost two decades. The fact that they have managed to organically grow and scale in the volatile world of finance is a testament to their attitude and loyalty to clients. InvestEdge is the wealth-management platform that financial institutions trust.